Aviva Schecterson is a game editor at Lone Shark Games where she started out as an intern and immediately took the helm of Betrayal at House on the Hill: Widow’s Walk and the Apocrypha Adventure Card Game. 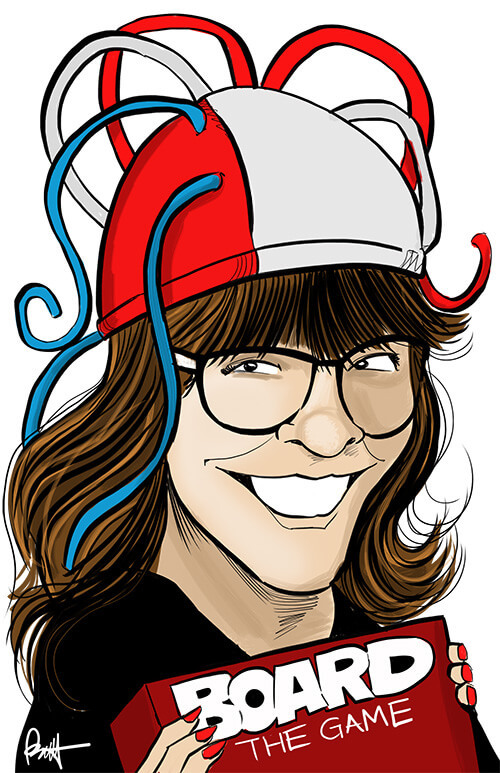 In the past, she worked on various Pathfinder adventure paths and worked on DigiPen’s first puzzle hunt. She also creates digital action-adventure and puzzle games with narrative themes, and has created two multiplayer games on her student teams. When she’s not editing or designing, Aviva assists in running the IGDA Jewish Game Developers SIG, does ballet, and bakes lots of bread. She can be reached at @avivayalla.